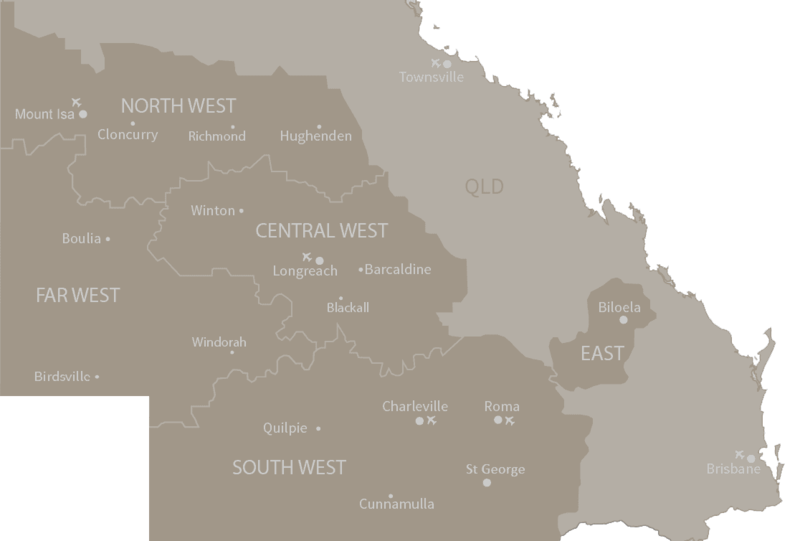 They say all roads lead to Rome, but only the Warrego Way leads to Roma, giving this town of 7000 people its name – the gateway to the Outback. Roma lives up to its tagline too, offering visitors a taste of what’s to come in Outback Queensland – cattle, country racemeets and plenty of charm. 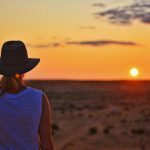 If you’re thinking of finding your outback dolce vita, here’s our guide to the best of Roma all year ‘round. There’re just 478kms that separate Roma’s cattle country from Brisbane. 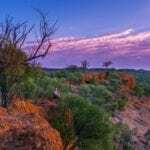 In the case of this Big Country Sky Drive, the journey is all part of the adventure, passing through Toowoomba, Dalby, Chinchilla and Miles. Prepare at least six hours worth of Spotify playlists (or about five Taylor Swift albums) for CAR-eoke as you make tracks along the Warrego. For dinner with a difference, book a table at The Overlander Homestead, whose menu is designed for a palette accustomed to international flavours. Covering international cuisines like Greek, Italian, Malaysian and French – this restaurant sure knows how to cover serious ground. Munch down on a Spanish seafood paella one night and Mexican spiced grilled salmon the next. Prefer to eat local? They also do some of the best grass-fed Hereford prime beef steaks around. This is cattle country after all. Any seasoned traveller knows that there’re just three C’s that make the perfect stay – a room that’s clean, comfy, and central – and Roma Central Motel delivers all three in spades. Free Wi-Fi is the icing on top of this hotel cake – so you can refresh your Instagram feed daily. As they say in Outback Queensland ‘When in Roma’ visit the Roma Saleyards. If you thought The Block’s grand final auctions were intense, you ain’t seen nothin’ yet. On Tuesdays and Thursday mornings the saleyards come to life with farmers, auctioneers and cattle as buyers place their bids on some of Australia’s finest stock. This is the largest cattle selling facility in the southern hemisphere with over 400,000 cattle traded here each year, but not only is it Roma’s central business district, it’s also a buzzing tourist attraction. Hospital by name but not by nature, the Hospital Hill Walk is a far cry from anything medical-related. In fact, the self-guided, two km stroll actually loops around some of Roma’s most significant gas and oil sites. 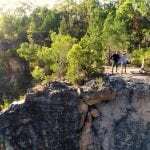 Starting off at the town’s water tower in Whip St, and following a course to Australia’s first petroleum-well disaster, this walk is the little bit of exercise you need to mix up an action-packed day in Roma. The words ‘cooking with gas’ have new meaning in Roma. Did you know, Roma was the first sight in Australia where natural gas was discovered? The Big Rig celebrates the history of gas and oil exploration in the town – and the best way to catch it all is The Big Rig night show, which uses lighting, sound effects and image projections to tell the story of the oil and gas industry’s birth. For just $10 and 30 minutes of your time, you’ll get an education in Australian history. All good roadtrips start with a hearty breakfast – and you can find the most important meal of the day in abundance here in Roma. The Explorer’s Inn serves up a classic Big Brekky with the lot – sausages, crispy bacon, eggs, baked beans, grilled tomato and sauteed mushrooms – arguably the fuel of champions. If Roma is gateway to the Outback, you could consider The Warrego Way the aerobridge, plane, flight and in-flight entertainment by comparison. 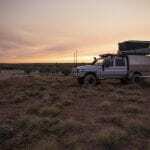 It connects Brisbane with Birdsville – and is the best way to explore the area. Have you been to Roma? What did you do?